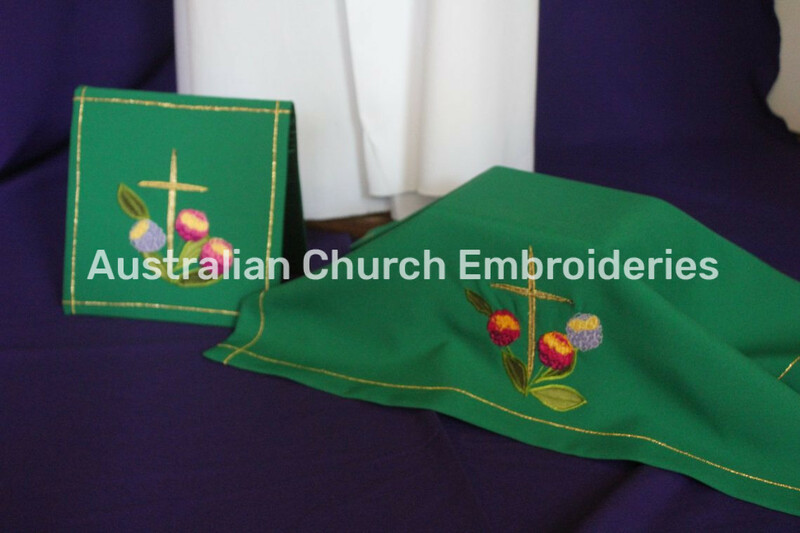 This stole is part of a vestment set made for the Church of the Ascension, Morningside, Brisbane. 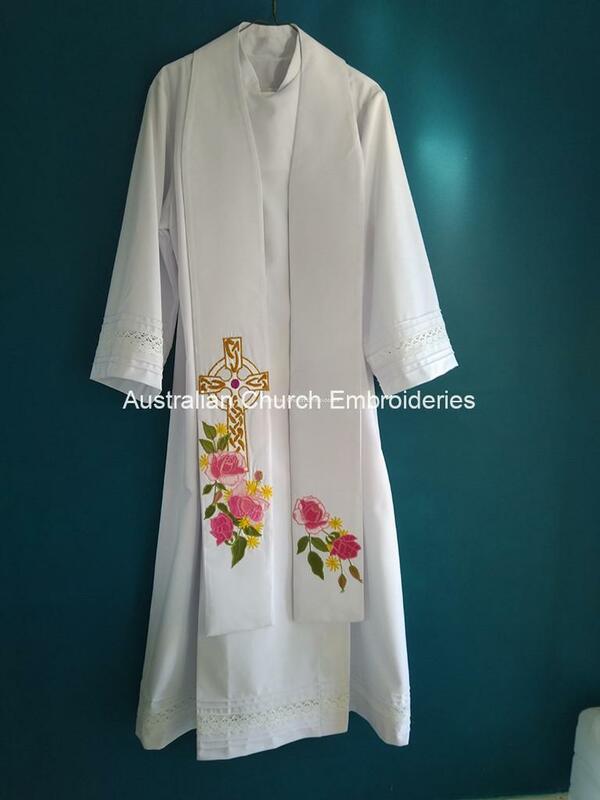 Australian Wildflowers are intermingled with the Fruits of the season. 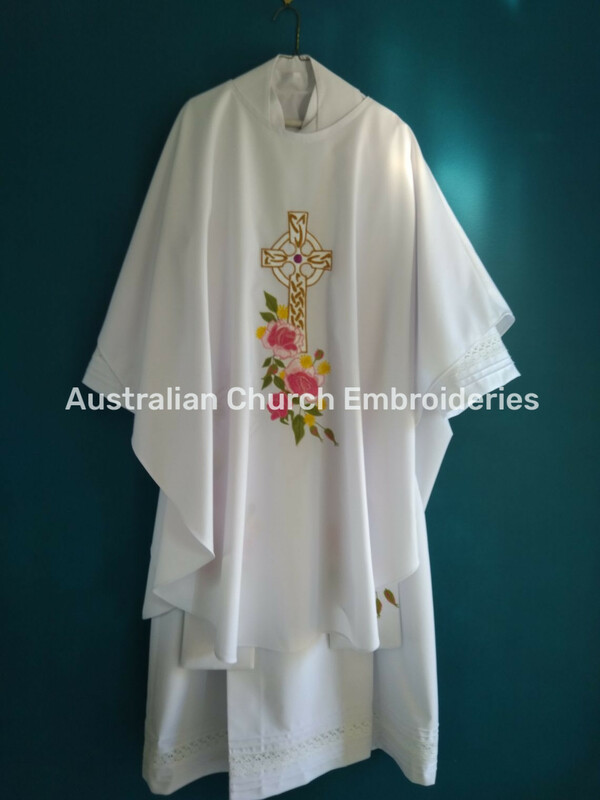 Cope for the new Anglican Archbishop of Adelaide. 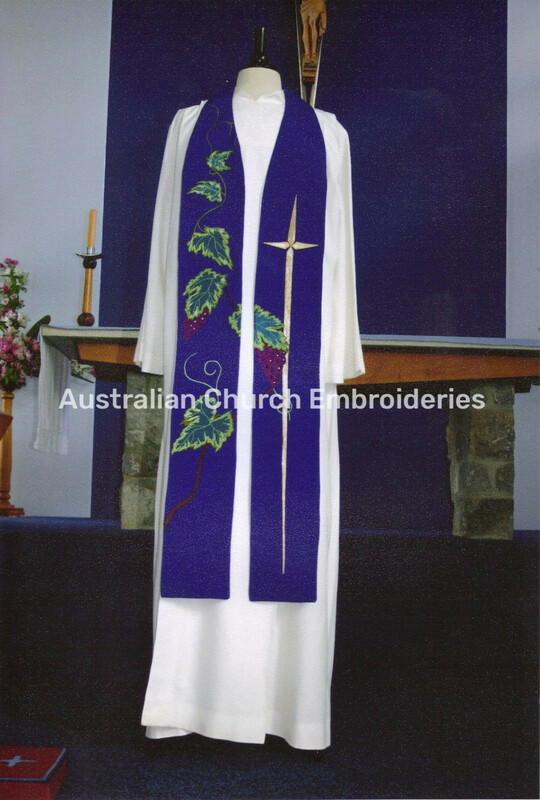 The Crosses are based on a cross section of the Flinders Ranges and using only four colours, the colours of the land. The Gold lines interweaving the hills, represent the desert sands. 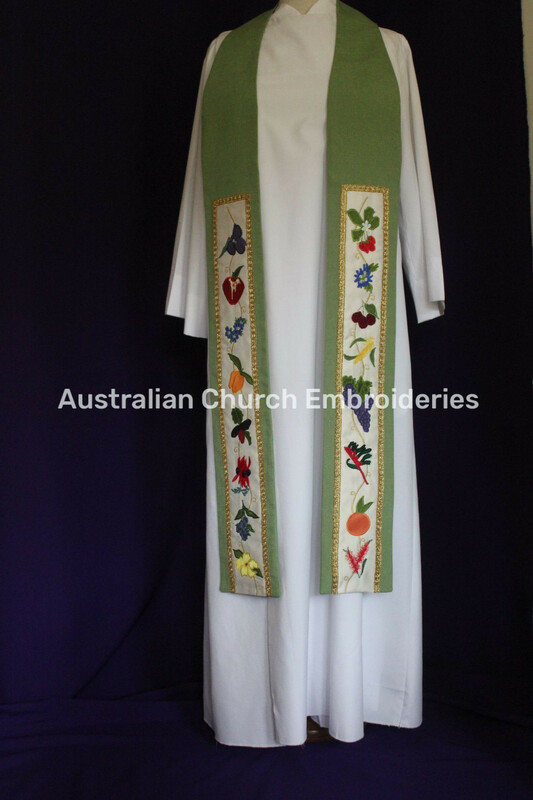 The Lion from the stained glass window in the church was used in the design of this chasuble. 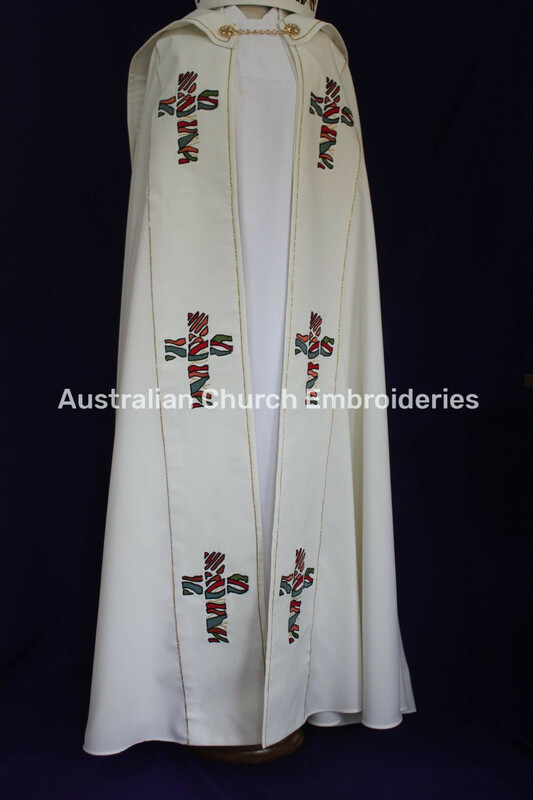 It is surrounded by the Celtic Triqueta knots and more knotwork is carried around the neckline and down the back. 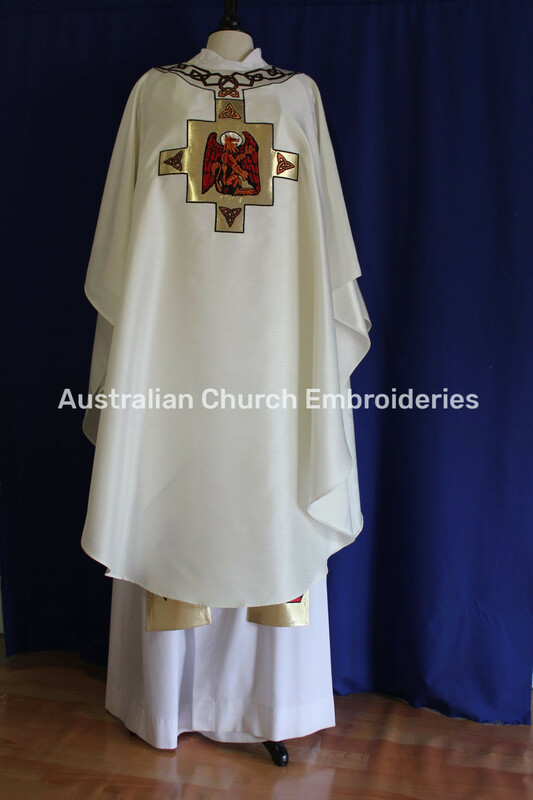 Gold metalic fabric is used for the background of the lion and brass is used on all the knots. 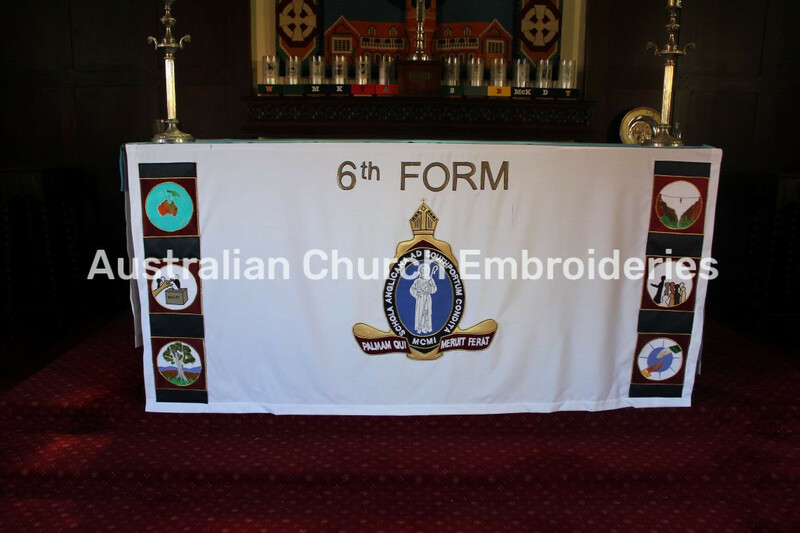 A Banner was requested for the Lady Chapel, Christ Church, Brunswick, Victoria. The background to the Mother and Child is a representation of the church itself and another major landmark, the Town Hall. 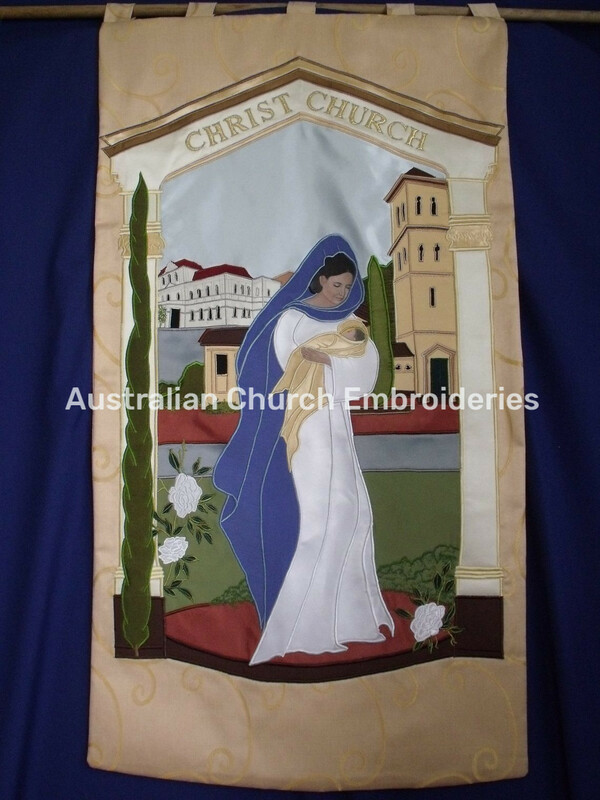 The work is applique and freehand embroidery, while the hands and faces are hand painted. 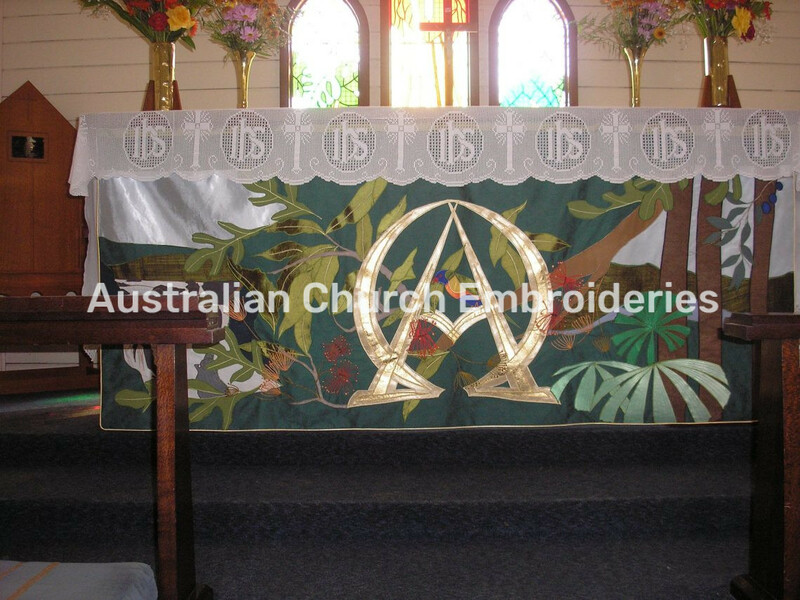 The Altar Cloth for St. Saviour’s Anglican Church, Kuranda was designed to show some of the rainforest plants in the area, the Rainbo w Lorikeets and the Barron Falls in the wet season flowing down to Cairns and out to the ocean.